The City of Denton Landfill was packed with Denton residents, with long lines formed around the waste facilities as patrons waited for clearance from workers in neon vests. However, these residents were not waiting to drop off anything — they were waiting, to pick up one of several hundred trees. While the Annual Community Tree Give-Away is only for private citizens who are residents of Denton, Keep Denton Beautiful has other tree initiatives for local businesses and several other tree-related events, such as the Denton Redbud Festival, an Arbor Day celebration. The group has been promoting tree-friendly events and programs in the community locals have enjoyed over the years. 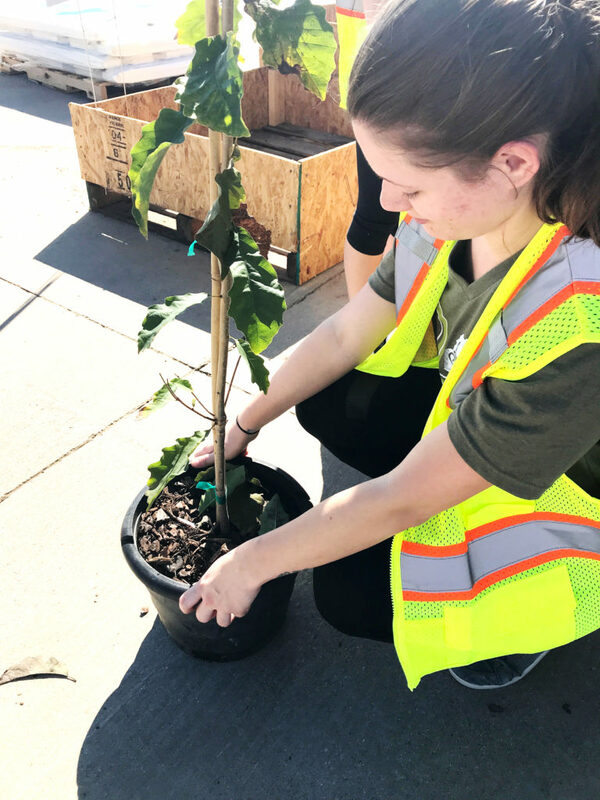 Keep Denton Beautiful also works with the City of Denton on the Denton Tree Initiative, a campaign designed to increase Denton’s tree canopy by giving away trees and providing forestry education. However, Keep Denton Beautiful has been working toward keeping Denton green long before the initiative, which is why Denton has been recognized by Tree City USA for 27 years in a row. In order to be recognized by Tree City USA, Denton must maintain a tree board or department, have a community tree ordinance, spend at least $2 per capita on urban forestry and celebrate Arbor Day. Similar to the Bee City USA title Denton holds, this helps to promote the environmental integrity of the city through certain actions carried out throughout the community. The tree lovers of Denton turned out in masses for the event on Saturday. Waitlisted Denton residents formed a line of cars around the waste management facilities as if Apple was launching a shiny new product. Nichele Chaney’s car died from idling too long in the waitlist line, but her only concern was missing out on her tree. Chaney received an advertisement for the event with her electric bill and knew she could not miss out on the opportunity. She and her mother plan to return again next year for another tree. While some might consider it greedy to return year after year to get more free trees, the members of Keep Denton Beautiful love and strongly encourage repeat patronage. Current board volunteer Lancine Bentley began working with Keep Denton Beautiful in 1999 as the executive director, which is the same year they began the Annual Community Tree Give-Away. Bentley now works strictly as a volunteer in the organization, however, she is not alone. 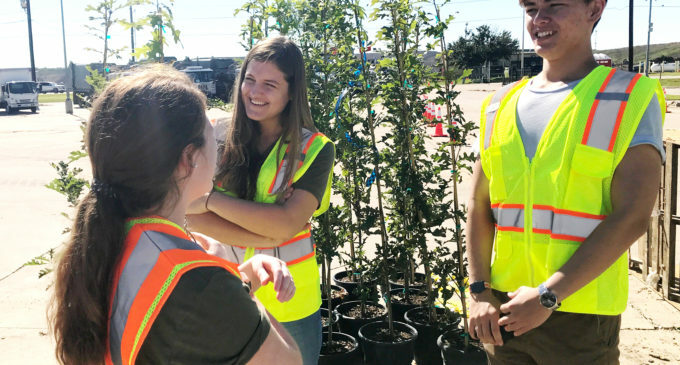 More than 70 people volunteered for the Tree-Giveaway, many of whom were local UNT, Texas Woman’s University and high school students. Keep Denton Beautiful has been doing just that for many years now, but the organization makes it very clear that without the community, volunteers and the love of Denton, they could not continue to operate.